Our bathing services are available for your convenience. 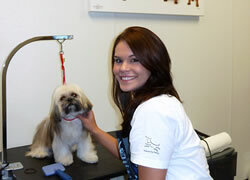 The high-quality HydroSurge® products we use are hypoallergenic. 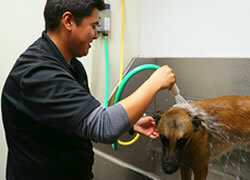 Please contact us to schedule a time to have your furry friend bathed.